I love a great stocking, so even though the plan is to cut down the gift-buying in our household by A LOT, I would never cut the stocking. In fact, our family tradition is one stocking and three gifts. In my family, we make amazing Christmas stockings (or Santa does- he takes credit for everything. How about some respect for intellectual property, Buddy?). The key is to use magazine to make the whole thing taller and to have lots of silly things in the stocking. 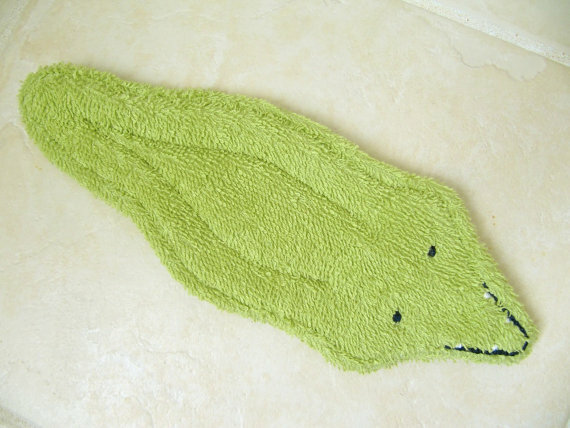 You can make a stocking more eco-friendly by making it both fun and useful. I try to master that balance between cheap but practical items like socks or nail clippers (my Mother in Law's genius addition every year) and super fun kitschy items (usually random finds at Target). I stand by this equation, but the problem here is that when you are hanging out in the "cheap junk" aisle at Target, you certainly aren't being a good steward. That stuff is often so cheap because it is made somewhere where the person making it is treated very poorly. It's often made of plastic, and it has traveled a long way, wasting fossil fuels, for basically no reason. So triple whammy against my beloved stocking stuff. So it's time to approach it in a new way we can all feel good about. 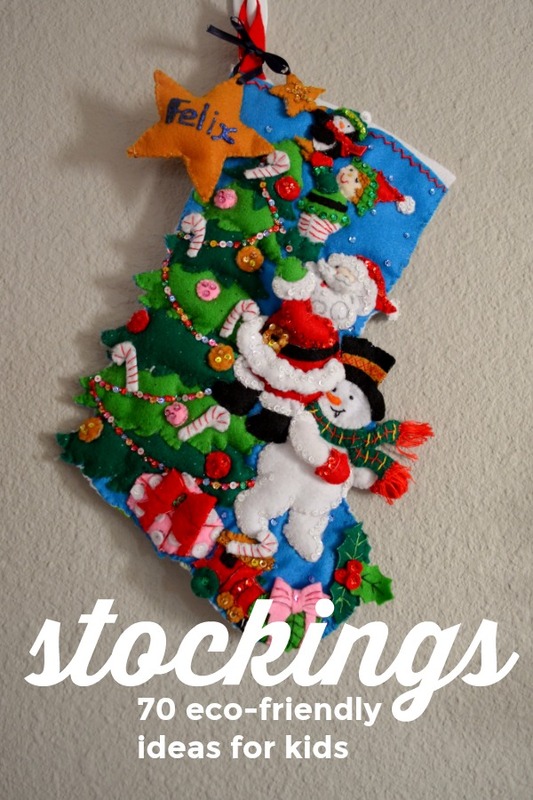 You can make an all-ethical Christmas stocking. Even better, you don't have to break the bank. Everything on this list is under 15 dollars! One of the most common complaints lodged against Eco-friendly and Made in America Products is that they are too expensive, so people only think about greener options when they will make a BIG difference! But anyone's who has ever been on a successful diet can tell you, small changes can make the largest difference if you stick with them! So maybe this isn't the same super cheap, kitschy toy that lined our stockings before, but you can find equally fun, strange, and hilarious stuff without ever feeling like an eco-terrorist. Even a few switches out can make a big impact! My favorite for this is the mixed toy bags at Goodwill. Last year, we filled a whole stocking with duplos. 2 bags from Goodwill is about six dollars, and the blocks have been used most days since. Throw in some matchbox cars and Thomas trains, and we were practically done for under ten bucks. Your local thrift shops (especially kids ones) will have tons of options. You can do more than half of the stocking secondhand and CHEAP. This is forever the best option, and you can find practical things as well. Plan on checking these aisles whenever you go thrift shopping, and you can have your stocking basically done way ahead of the game. I can find so many cute toys in consignment stores, not to mention practical things like socks or hats! If you spend 2 dollars on a little toy or stuffed animal you can clean, that beats anything you will buy new! A trip to a kids consignment store or Goodwill can check off most of your boxes immediately. CHECK EBAY. I just searched for Paw Patrol and they had literally thousands of used toys. It's the same thing you would buy in the store, but cheaper and eco-friendly. No brainer. Another option? Your Buy Nothing group! Throw out there that you are looking for stocking stuffers, and all the (celebrating) parents in your neighborhood can sneak those little forgotten toys to each other. Boring for one kid is an exciting new gift for another! Your change in priorities can ripple out to make a better world for the kid you fill the stocking for. That's more important than anything you can give. Look at the challenge to find these things as fun instead of intimidating- this is why we start early! Support some local candy before you do the same old from Hershey's (I want to love them, but I just can't anymore). You can find cool stuff right under your nose! Chocolate is an especially hot button topic for treats, so check with your local candy store and think about buying some fair trade chocolate. This blog does use affiliate links for Etsy and Amazon, meaning I get a tiny cut if you buy something off of a link I post. That said, don't give your money to amazon when you can keep your money in your community. I actually recommend that anything you can buy local, you do! 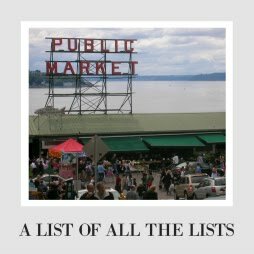 I wouldn't expect anyone to buy everything on this list, but the key is to notice you have TONS of options. You can get anything- from super fun to completely practical- made ethically, in the United States, and with good stewardship for the environment! 1. Bath Crayons (USA)- Krazy Kool makes organic bath crayons that will make such for such a fun time! I want to play with these. Messy Play Kits or Shimmering Suds sell bath crayons too. 2. 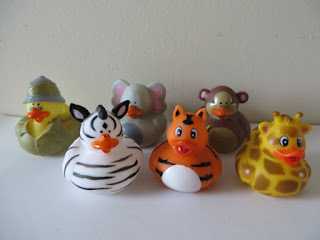 Rubber Duckies (USA)- Everyday when I make my way to the tubbie! I find a little fellow who's cute and yellow and chubby! 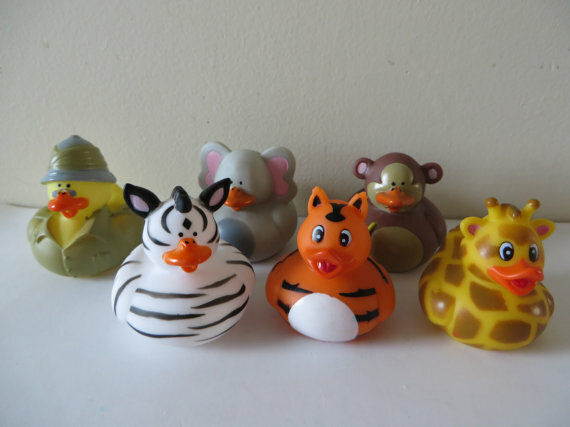 Annie Bananay is based out of Pittsburgh and has all sorts of adorable rubber duckies. Celebriducks has a line of Made in the USA ducks (a little on the nose with the signage though). We bought The Bub the very simple yellow version, and it continues to be a big hit. 3. Washcloths and Puppets (USA)- Washcloth puppets make a lot of sense if you have toddlers or if you are still doing bathtime. heffernanscrafts have my favorite crocheted hilariousness that a kid would really like. That said, they can't really compare with the unashamed creepiness of these mishsworld puppet guys. Good for haunting dreams as well! If you are crafty (and quick), there are some great patterns on Etsy for this kind of thing as well. 4. Fun bars of Soap (USA) - I get that soap as a gift sounds lame, but I think cool soap could be a big hit. 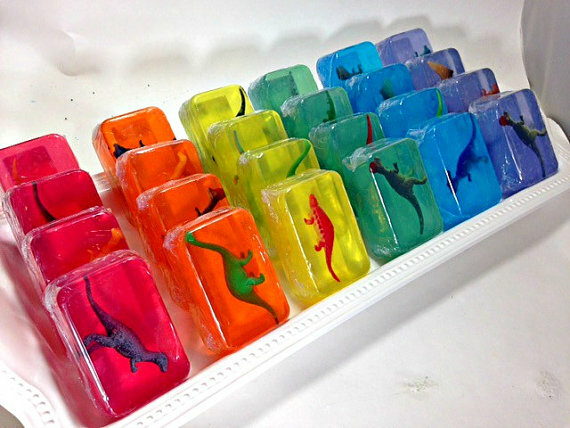 Ok, we have done this now, and I can confirm my kids love soap with dinosaurs in them. That said, learn from our mistakes, and never pick a soap with pointy things inside. Seriously, this is a real problem in our lives. My favorites are these dinosaur soaps from Southern Skye Beauty. 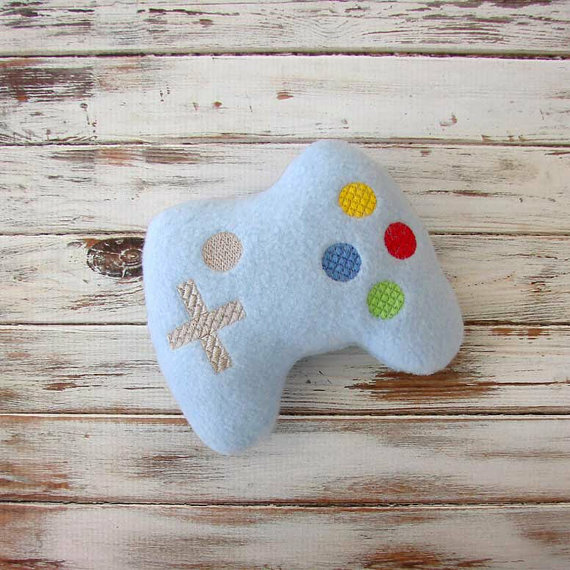 I also found mermaid soap, game controllers (check out this whole shop- looks cool! ), alphabet soap, lego soap, and because the world is wonderful macaroni and cheese soap. 6. 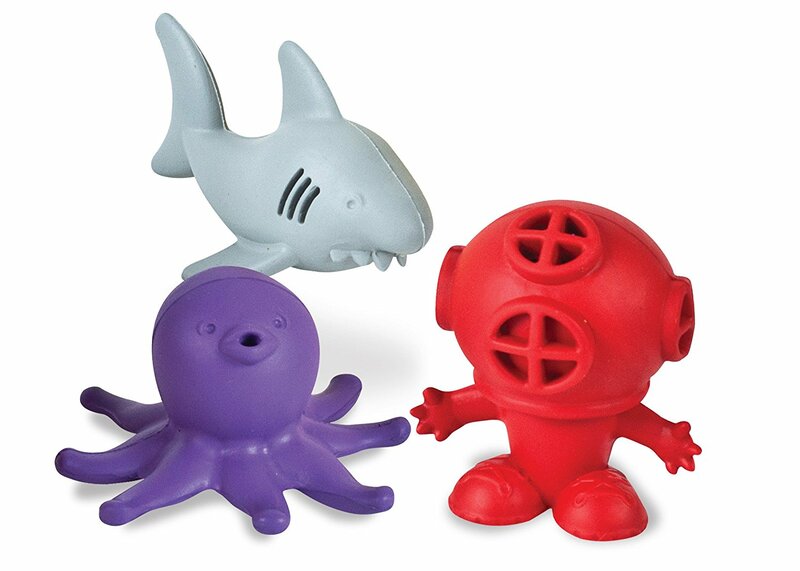 Wowie Stars (USA)- These rubber toys make good teethers for babies and bath toys (and pool/ beach) toys for older kids. 7. Bibs (USA)- Your baby is so smart. But not smart enough to be disappointed when you just buy a bunch of things you need and stuff it in a stocking for their first Christmas. Swaddle Designs makes perfect inexpensive bibs. 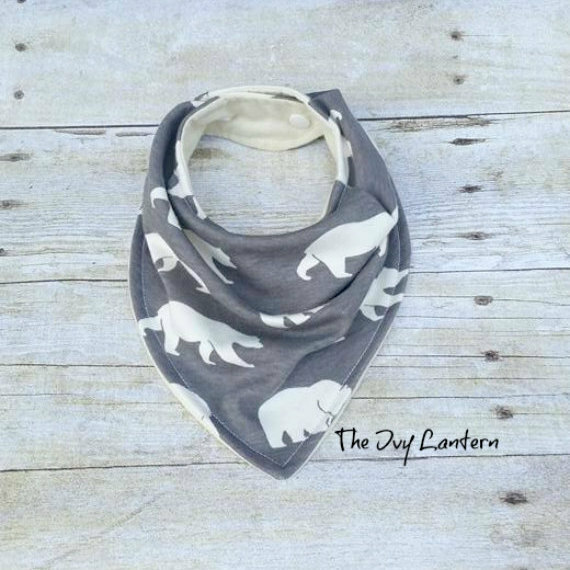 If you want to do something a little more trendy, these super cute (and usefully neutral) bandana bibs from The Ivy Lantern. 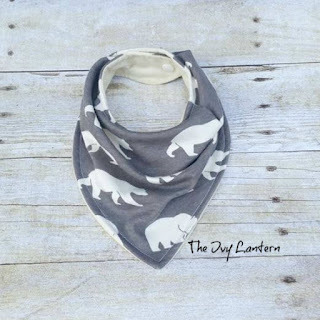 There are about 4 million bibs on Etsy so you can find what you want, but here is another long list to browse- Organic Mama Design, The Pleated Petal, Le Petite Birdie, and SloaneandBrodie. 8. Feeder (USA)- These chewy feeders are so helpful when you start baby on solids or when they start to teeth (ice or frozen fruit inside and let them gnaw). May not be a regular purchase, but a nice little splurge for a stocking! 9. First Set of Keys (R, EF, USA)- Both Green Toys and Re-play sell sets of all recycled plastic key rings. The Bear loves his; they are really good to shake. These are pretty cheap, made in the USA, and use recycled materials; I don't understand why anyone would buy other sets! 10. Jumbo Beads (USA)- Another Classic for babies, this Holgate toy helps them string beads and work on that hand eye coordination. This has been made here in the US since 1948! Also, it is awesome for an airplane time-passing toy. 11. Link Toys (USA)- Boomering Links are a perfect toy for anybody under 2. Simple often entertains them longer, and these links can easily be thrown in a purse, brought on a plane, or strewn through a car seat. Great toy and super cheap. Also, link toys are a perfect one to look out for in secondhand stores. Our favorite kids consignment store usually has a ton. 12. Onesies (USA)- You could get a funny or special onesie you might not splurge on otherwise. My favorites are from StrangewaysStudios and EarthCadets. Just poke around on Etsy and get something that makes you smile or laugh. You can also check out buggy and bubba, Little Jonesies, and The Little Stork. 13. Soft Blocks (USA)- Tactile soft blocks give the baby a well-rounded sensory experience. My bub loved toys like these, but you can get ones for the same amount as in the stores on Etsy, and you will be supporting a local maker instead of a big corporation. Woot! My favorite are these high contrast ones from Little Sidekick, because those black and white patterns will totally catch a little one's eye. More options? Try BabySewLovable or BlissDesigns. 14. Spoons and Forks (R, USA)- Yeah, this may not seem like the most fun, but you can buy one of the Green Eats sets (or just the spoons!) that will last you for years and they will fit perfectly in a stocking (and a diaper bag). Plus, my 2 year old would have told you forks and spoons are the most fun toys in the whole world. He loved playing with them. Still does. Re-play sets are also colorful and great. 15. Teether (USA, EF)- You have about a billion choices here, so you can get something really cool. Lifefactory's teethers have been staples in our house when the baby was teething (and he just likes touching the different patterns as well). I would recommend these teethers to anyone. 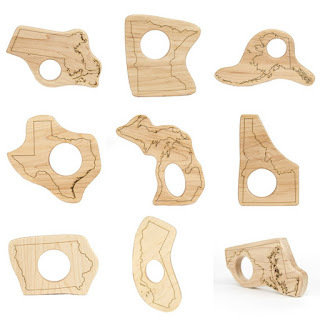 You can teach geography and chewing with Little Sapling Toy's state-shaped teethers, which are basically the coolest thing I've seen. I love these Feltman and Co. ones as well. 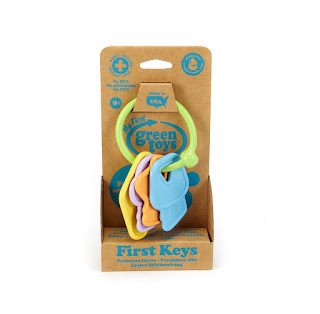 Begin Again's simple teething ring wins awards and parents' love, so this might make a great gift for your little person! They won't be toothless forever! 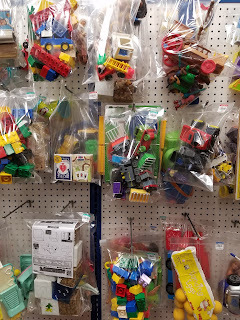 Manzanita Toys is guaranteed to have something you will love as well. With Baby Two, I am pretty obsessed with rabbit teethers, and we got good use from ours. These are some good ones- Kadydid Designs, OrganicNestingTree, and DossSewCo. 16. 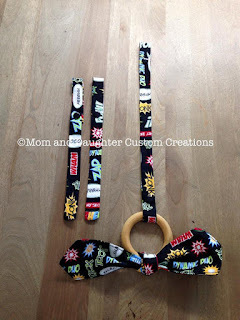 Toy and Pacifier Strap (USA)- When your bub is little, you lose toys and cups all the time, they are always throwing them or dropping them, so I think the toy strap makes a lot of sense. I like the name bottle leash too, so funny! 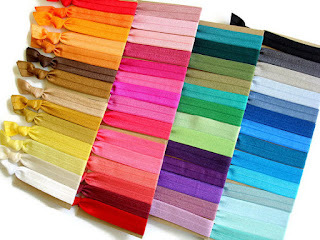 Etsy has plenty of options- Henley's Headbands, The Chipped Cup, The Stitched Co, Fawn and Finn, and Clover and Birch. 18. Mittens- Great gifts for baby (and older kids too) and fit perfectly in a stocking. Kudos to you if you can make them yourself. My favorite are these mittens using recycled fabric from Gypsy and Lolo. What you really need are these simple knits (in every color) from KarenFudge. Seriously, these look so perfect. 19. Car Seat Toys- I love these hanging jellyfish. Something for them to swat at. 20. Wooden Egg Shakers (EF, USA)- I never would have thought of these as exciting toys before I had my own kids, but damn babies love these shakers. You have lots of options, so keep plastic out of your bub's mouth and out of landfills- choose wood like these colorful ones. They graduate into kitchen toys too, so a nice long toy life. 21. Clay (USA)- Sculpey Clay became one of my favorites in my time teaching art to kids. It doesn't dry out easily, so they have time to fiddle, and if they make something they want to keep, you can set it in the oven. You can get packs in all different sizes, including small ones that might fit in a stocking. 22. Colored Pencils (R)- I love these colored pencils made out of recycled newspaper instead of wood. 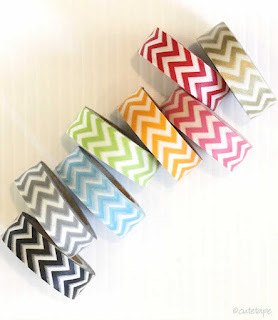 They come in cute tubes that would fit perfectly in a Christmas sock! 23. Coloring Books (USA,R)- Not all are made in the USA, so always check, but many still are. I just got a Paw Patrol one at Target (ughhhh) that was still made here, so this is an easy to get right with just a little bit of attention. My new favorite doing research this year is Wee Gallery's How to Dress a Fox (they have 5 different animals to choose from- bunnies, bears, and more). These books are so cute, and they are made of recycled paper and soy ink- win! They sell recycled coloring murals too. This doodle book looks really fun and different as well. This can be a perfect way to work in your little one's favorite character- Barbie, Anna and Elsa, Etsy has plenty too, from psalms to birds. My dad uses soft books like these and magazines to wrap around in the stocking to make it taller/ able to hold even more stuff. I kid you not, he's the master. 24. Crayons (USA,R)- Did you know you can get crayons in any shape ever? Any shape? And they are recycled from all those nubbins you would just throw away? You can get them in your kid's name, Super Mario, dinosaurs, and Christmas trees. I love the shape of these ones. BloomingCrayons makes cool multi-color crayons. I love these eco-friendly crayons too, because they are completely biodegradable. You could also try Honey Sticks which are made of beeswax. As an aside, when you are in the aisle with the crayons trying to make a pick, Crayola is actually probably your best bet. Stay away from the other brands, most are made overseas. Plus, Crayola is never that much more expensive. So just remember to go with Crayola if you are doing your shopping in Target. 25. Lacing Toys (USA)- Mama Made Them makes sweet whale lacing toys that might be the perfect start for a future sewer. Animal ones like this elephant are fun as well. USATDD also has a set of wooden lacing toys. 26. 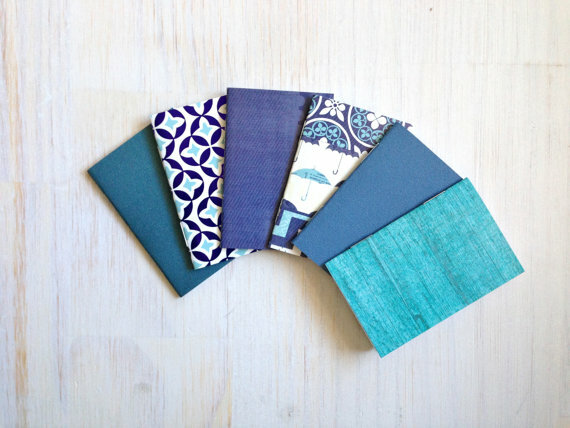 Little Notebooks (USA)- Is there anything with more possibility than a fresh new notebook? 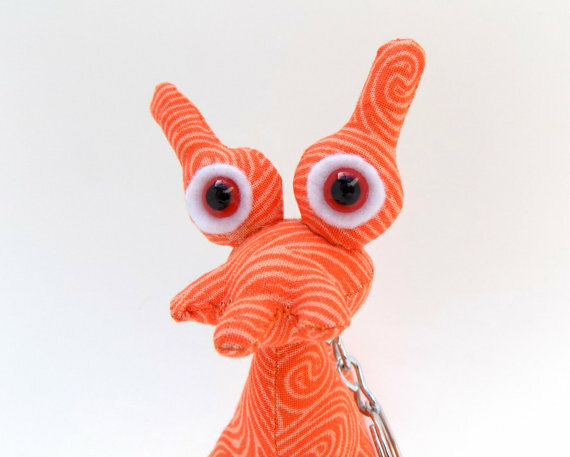 I love these little ones from Ordinary Artists that would make perfect stocking stuffers. My beloved Decomposition Books, made from recycled paper and soy ink in the US, would be perfect as well. The Bub loves the little drawings they have on the cover and inside. If your kid is cool or manly, Field Notes has notebook sets as well. 27. Markers (USA, R)- I love Crayola. They actually collect old dried up markers and put them back into use again for their simple marker sets. I love that. I will give them all of my marker budget (larger than you might imagine) forever. Out of the box, perfect fit for a stocking. 28. Stickers and Temporary Tattoos (USA)- Somebody only wants Moana Stuff? Ok, everyone does. Something about that Te Fiti. If your bub loves Moana but you don't want to ship your money to China, look into these sticker. They can be creative, spice up stuff the kiddo's already own, and many are still made in the US! I also found lots of Moana temporary tattoos made in america. Check your kids' favorite characters- it can be a good way to include them. 29. Washi Tape (USA)- I feel like I would have loved these as a kid, and washi tape is another gift you could use to spruce up anything! These are fun and different, and open up lots of avenues for creative play that you can still pick up. These pineapples, planets, and pastels are all adorable. 30. Finger Paint (USA)- I bought finger paint at our local toy store that was made in the US. Simple and fun, My new favorites are these Eco-kids paints, made in America with organic ingredients. 31. Finger Puppets (FT, USA)- We bought Paw Patrol finger puppets last year for our stockings, and they were a big hit! Finger puppets are simple, but a perfect play toy for your little ones to show you or for you to interact with your little room. Small, in a good way. Also, if your kid is obsessed with a certain movie or show, but you don't want the Made in Elsewhere merchandise, this is an AWESOME way to introduce some characters they love into your play in an understated way. Seriously, everything is a finger puppet- Pokemon, Minecraft, Aristocats, Harry Potter, Pooh, Pete the Cat, Inside Out, Moana, Frozen, Daniel Tiger, Star Wars, Superheroes, even Minions! Seriously, everything. Finger puppets are where it is at. 32. 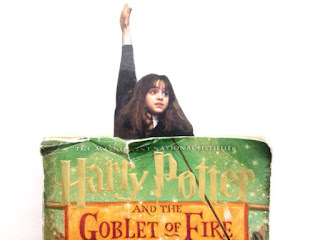 Bookmarks (USA, R)- Let's encourage that reading with fun bookmarks! My absolute favorites are from Pearl and Violet, because you can get your favorite characters poking out of your new favorite book! Owl makes bookmarks you can put pictures in out of recycled leather. If you are looking for something you can personalize, or maybe encourage your kids to gift, these plain Made in the USA bookmarks could be decorated to look amazing. Peggy's Passions makes spoon bookmarks that are so cute and can be personalized. My last favorite are Ryan Sheffield's author bookmarks. 33. Christmas Ornaments (USA)- It would be kind of a cool tradition to put an ornament in their stocking each year that has to do with their year, then they can hang it on the tree. 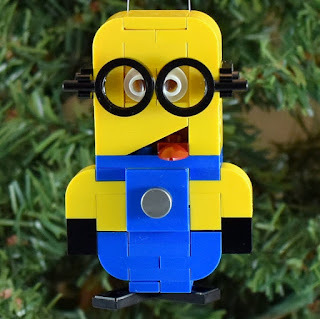 If you want ones made in the USA that also do good, Ornaments 4 Charity (which seems to be one amazing family) makes adorable lego ornaments and gives 100% of the proceeds to charity. So awesome! I love this little hedgehog one as well, but you can find so many Made in the USA ornaments on Etsy. Think about what would be cool and get to checking! 34. Peg Dolls (USA)- Wooden peg dolls are gaining popularity due to their simple design, eco-friendly material (no more plastic) and the fact that they can be ANYTHING. Look on Etsy. So many, so I will list a couple of favorites, but you should just go look for what your kid will love- Superheroes, Harry Potter, cats, and I like "Girls of the World." 35. Dinosaurs(USA)- The USA company that makes little green soldiers also makes dinosaur plastic toys. I personally like the Galaxy Laser Team better. Buy your plastic dinosaurs secondhand; there are plenty out there already. 36. Key Chains (USA)- I remember really enjoying them as a kid, despite not having any keys. These Happy Cosmos ones are so fun. Cookies and popsicles, too! You can find it all. 37. Play Dough Tools (USA, Recycled)- I am obsessed with Green Toys, and this year they came up with a set of Sesame Street themed Clay toys, for cutting, shaping and playing with clay. Totally getting this one at our house! Check out how many options they have! 38. Wooden Smart Phones (USA)- These teethers are hilarious, and I think the wooden smart phone might make a great imaginative toy as well. 39. Magic Wands (USA)- I actually think these simple wood magic wands look really pretty and chic unfinished, but decorating them with markers might be fun? Or you can just get to casting spells right away. 40. Their own Nativity Set- When I was a kid, I thought playing with nativity sets, getting them perfectly arranged and so forth, was just the most fun ever. Now, they have lots of cute sets for kids, but most are made of plastic. Instead, maybe try a peg doll set or even make one of your own . The creche may not fit, but the figures could be a big part of your stocking, and help keep the focus where it belongs. 41. Cards (USA)- Bicycle Standard Cards are made here in the US. Classics. Perfect gift for an older child? Time to start learning magic tricks. 42. Puzzles (GU, USA)- You could get puzzles at basically any level and then put them in the stocking broken up. This seems especially cool, because they wouldn't know what they were putting together! This is one you can definitely find in consignment stores for kids, but there are some made in the USA Maple Lamdmark makes a bunch, including this bulldozer, around 15 dollars. For older kids, you can do one of these giant floor puzzles made of recycled materials in the US. For even older kids, you can find puzzles made of all recycled materials- a California map or this Wonderous Ocean One. 43. Sandwich Stackers (R, USA)- I worked briefly at a Chrildren's Museum that had these Green Toys Sandwich Toys, and I couldn't believe just how much the kids loved them from toddlers to older kids playing restaurant. I think they might fit a stocking perfectly and be that toy you didn't expect to be a hit, but they play with them all the time. So simple. So genius. 44. Spinny Spellers (USA)- These wood toys help new readers to play with letters and words. 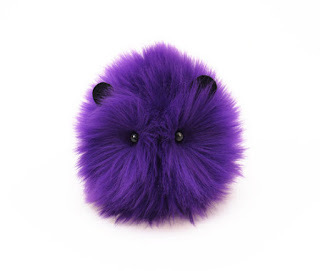 You can get critter ones for the smaller set. 45. Tigey (USA)- Ok, this one is 20 bucks, so a little bit above our budget. But it's Tigey, it's made in America, and your kid will freak out for it. 46. Pocket Tidbits (USA)- Don't write these little crocheted balls off too quickly. You can also buy them little outfits, so this one may be a huge hit. 47. Hatching Dinosaur (USA)- These little dinosaurs from MaggiesCraftSale are too cute. Such a fun one for the dinosaur-lover in your house! 48. Octopus (USA)- CrochetfromKatie has adorable little crochet creatures (and pencils) that would fit perfectly into any stocking. 49. Soft Game Controller (USA)- Another winner. The Boy is already training The Bub to sit and use the other controller while he plays. I am sure that's not developmentally sound, but these soft versions are cute. 50. Stuffed Elephant, Bunny, or Zebra (FT,R)- These little stuffed animals are exceptionally cute, and they help support women get good jobs in Malawi. Another cute little way to do good with your Christmas shopping! 51. 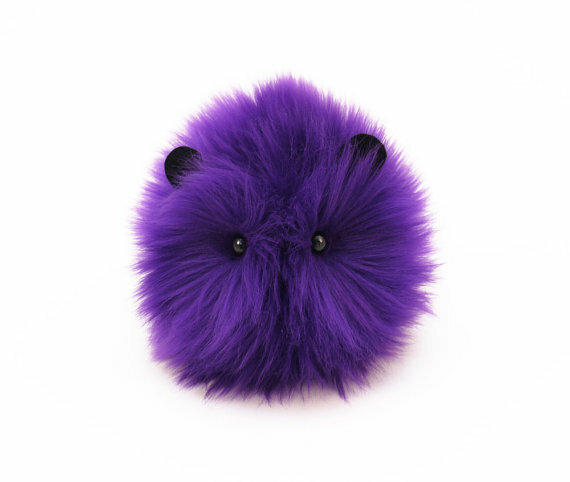 Puffy Balls of Awesome (USA)- If I were buying stuffed animals for my kids for Christmas, these Fuzzigles are what I would (actually, probably will) pick. It's hard to pick a favorite. 52. Baby Snuggle Toy (FT)- Children all have that nurturing side, but I think a lot of baby toys are to "real life" scale, when actually something smaller fits them better. Even if your baby isn't that into babies, maybe try one of these simple fair trade lovies- you might be surprised! 53. 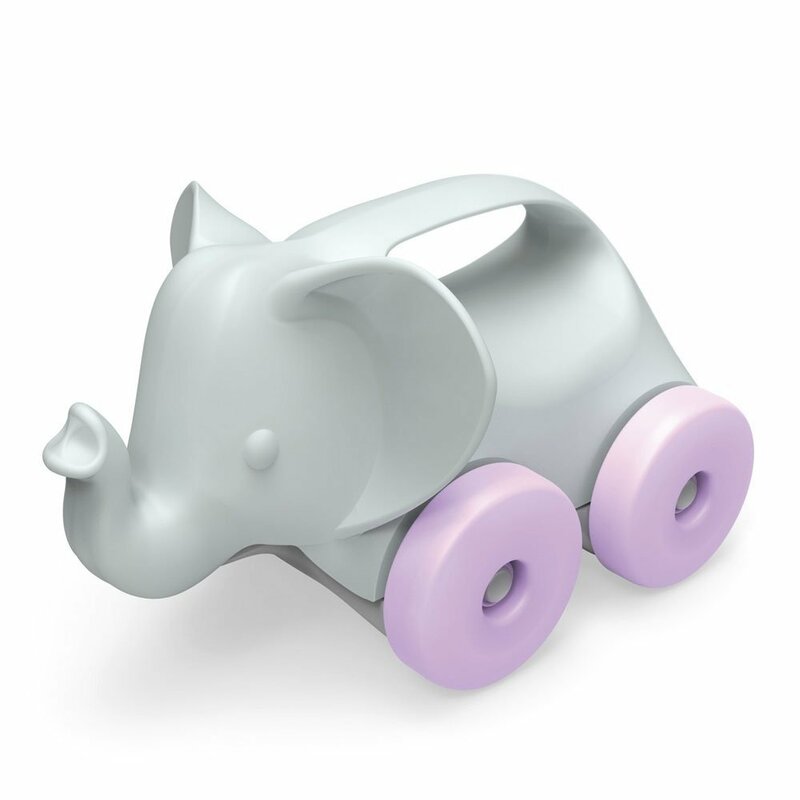 Elephant on Wheels (EF, R, USA)- Made out of recycled plastic milk jugs (and saving TONS of energy. I didn't even realize how much), this Green Toy on wheels could be a perfect gift for someone without great hand eye dexterity (I love the pig and turtle as well). A good second Christmas stocking stuffer. 54. Matchbox Cars (USA)- Bad news, Hot Wheels are not great for the environment, much like their regular-sized car counterparts. That doesn't mean you can't find other ice cream trucks and race cars made stateside! And TONS of used Hot Wheels are out there. I love these little Maple Landmark cars. Holgate also makes wood cars that are adorable and local. Green Toys sells adorable racecars (including a pink one! ), but it might cramp the stocking- I would recommend these smaller cars instead. 55. Yoyos (USA)- Another classic gift. I never got good at a yoyo, but if your child is older than 2, he or she is already more coordinated than I am. We did this last year, and thanks to Peewee's Christmas special, it was actually a huge hit! 56. Tops (USA)- I can't remember being too psyched about tops when I was a kid, but these simple ones from Maple Landmark might be just the kind of challenge that makes the holiday fun. A throwback in a good way. 57. 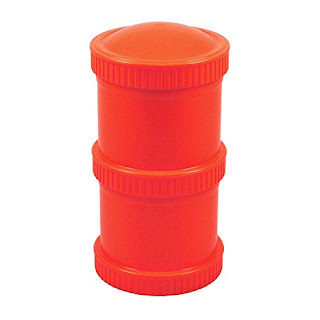 Kazoos (USA)- Gah, I love a good kazoo. A staple at my Grammy's house, and my Grammy is the grand poobah of gifting. You can get this one from West Music for 90 cents! 58. 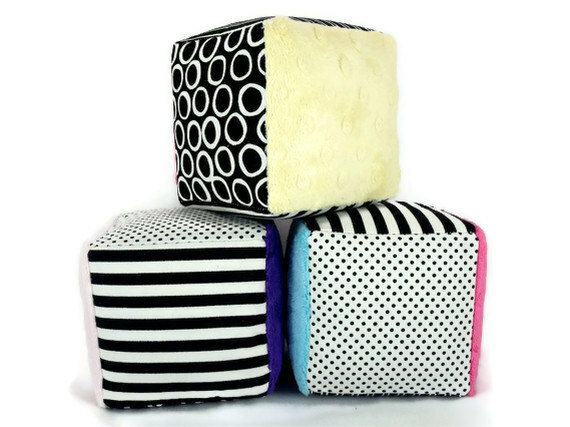 Percusion Blocks (USA)- I don't know why you would buy a percussion block for your own child, but maybe to stick in your enemies' childrens' stockings? Evil Santa Claus? 59. Slide Whistle (EF)- This slide whistle, birthed in Gerrmany, will perfectly fill the need for making lots of annoying noise in an eco-friendly cacophany of annoying. Once, we played Reading Rainbow in a talent show on slide whistles. It is my Christmas wish that your children can enjoy a similar moment (we were in our 20's). 60. Train Whistle (USA)- Toot toot! This whistle is perfect for the Thomas-lover you spawned. Maple Landmark makes one too. And this one is shaped like a boat. 61. Shakers (EF)- Green Tones makes all sorts of musical toys, but the biggest hit might be simple shakers like these. I like this Maple Landmark one too, though it looks more like a rattle. 62. Hair Clippies (USA)- You can find a million hair things on Etsy made by a person with their own little business. You can buy your children hair stuff for little money. 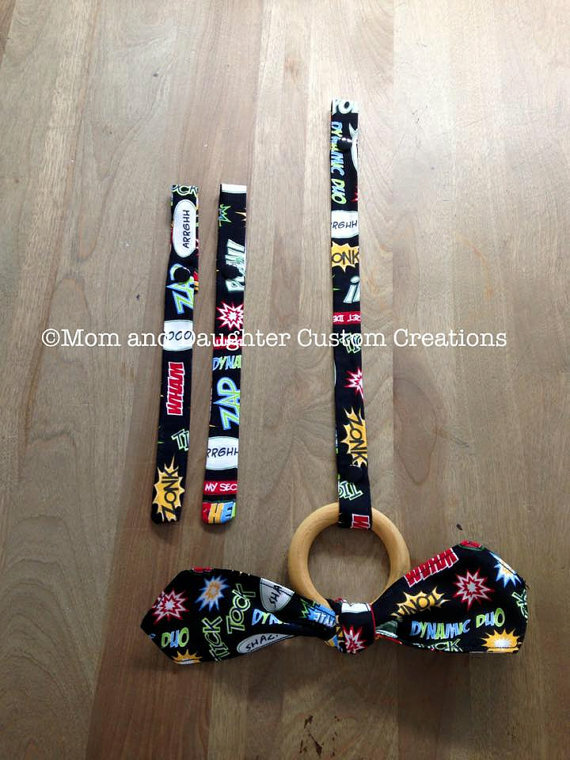 Here are some hair clips and hair bows like these from Masterpieces of Fun Art. Sparkly hair ties. Minion Hair Ties. Frozen hair ties. 63. Hats and Mittens (USA)- No matter the age, kids manage to lose these. But I think a fun hat or a pair of mittens that will really last is a fun AND practical gift. This was a big one in our stocking last year, and the hats will get use for years to come. I love these simple beanies from Love your Melon (and they do good!). Etsy of course has tons of fun ones, so check on the stuff your kid likes, but I also like these simpler numbers from AtTheSmithsHouseHats, HoneyStichCo, and JillyBeaniesBoutique. 64. Nail Clippers (USA)- My Mother in Law gives nail clippers in stockings every year. Genius, because nail clippers seem to disappear so quickly. I don't know where they go, but you never find them. You can start the tradition early with these baby clippers. For bigger kids, bigger clippers. 65. Sippy Caps (USA)- We got these caps this Christmas to add to our Lifefactory bottles, which you already know I am obsessed with. If you are getting to the sippy cup phase, think about going glass or recycled! 66. Socks (USA, R)- Solmate Socks are my favorite. We just bought a set for the bub (they come in sets of 5. How cute is that? Perfect fun socks to put in a stocking. We recently became huge fans of Pact socks as well. 67. Toothbrush (R, USA)- Preserve makes kids toothbrushes out of recycled plastic. Now, I would probably recommend bamboo toothbrushes too. They are completely beloved by our toddler, so this may seem like a bummer gift, but I think it makes a lot of sense. If you have a truly little little one, the banana toothbrush was also well-loved here. 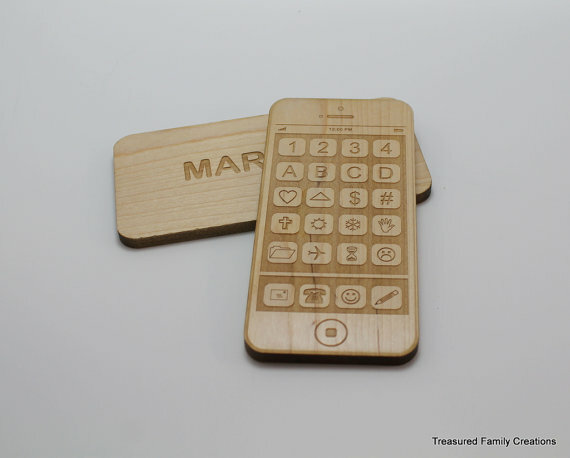 If you are trying to make gifting about things your child needs, not just what they want, this could be a good step. 68. Snack Containers (R, USA)- Maybe fill these absolutely wonderful replay Snack Stacks with other treats to gift them? Like put some candy or another surprise inside? Mix red and green for a festive feel. Then you will have snack containers and cut down on wasteful zip loc bags. Win! 69. Measuring Tape - No, I am not kidding. Get the soft kind for sewing and your kiddo will love it (just keep them company if they are little). Here is an American-made one. 70. Measuring Cups- If you have a kid, you already know that measuring cups speak directly to their little hearts. You can buy some secondhand for nearly nothing, and when they wear out their life as a toy, you can use them in the kitchen. These ones from Preserve would also be perfect. Lastly, BUY YOUR CANDY LOCAL!!! America still has tons of candy companies working in the US, so there is no reason to buy those Hershey kisses made in Elsewhere. Buy less candy, but buy good candy. I hope you found lots of inspiration for your stockings here! 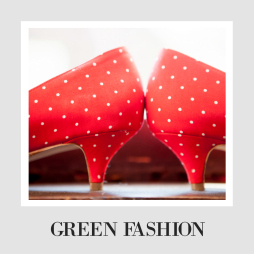 If you are interested in green shopping inspiration, check out the List of Shopping Lists! You can transform your shopping this Christmas! You have so many great ideas on this list. I try to be as eco-friendly as possible but I have to say a lot of junk ends up in stockings. I'll have to check these out, you mentioned a lot of cool products! Oh there's some awesome things on this list! I'm going to check these out because we try to be eco friendly around here. These are great ideas. I love the fun soaps! I'm always looking for something to make the stockings more fun. 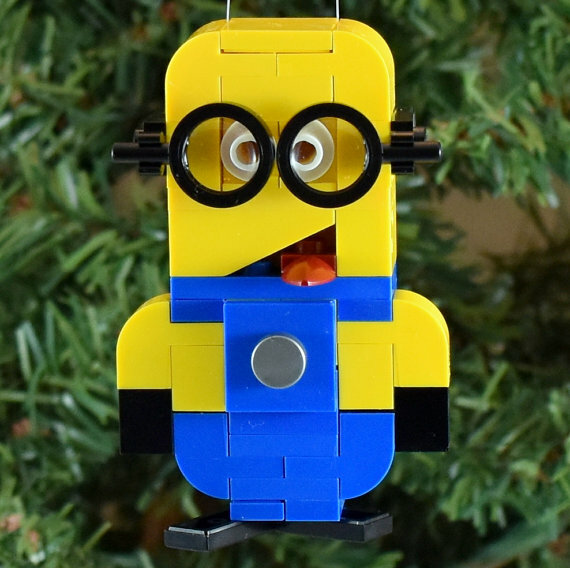 These are such great ideas for stocking stuffers! I think stocking stuffers are the hardest for me because I usually forget until the last minute(: Thanks for sharing! 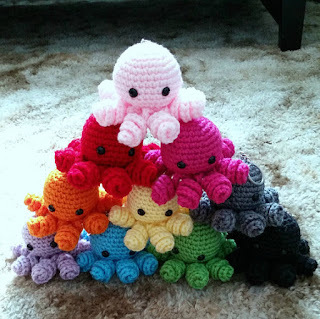 Thank you for featuring my octopuses! I'm CrochetFromKatie #48. Great list! 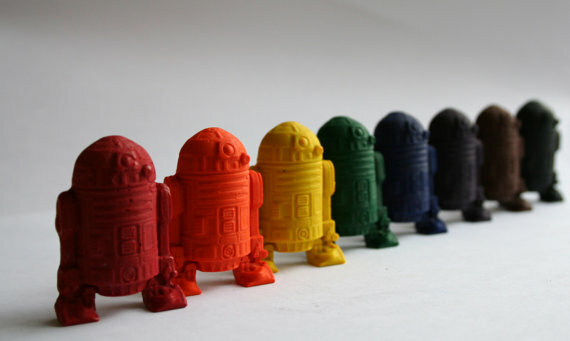 I’m in love with these bath crayons! Santa (my mom) always puts wooden or metal brain teasers in our stockings and they keep us occupied for hours. What’s great is they’re eco-friendly and they come in ability levels so they grow with kids and continually challenge them. I love bath crayons! When I was growing up we had those as well. They are such fun and a great idea for kids!